14 Feb What questions should you ask before buying a treadmill? One size definitely does not fit all when it comes to shopping for a treadmill for your home gym. While treadmills can look pretty similar lined up on a sales floor, or on website screens, there are a lot of details people should consider. 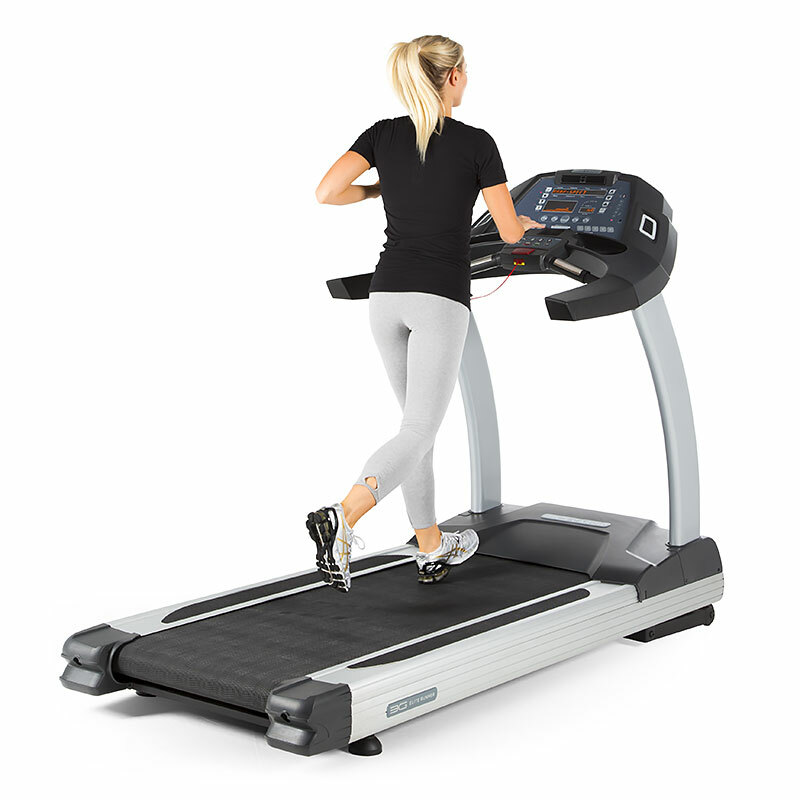 If you just plan on walking on a treadmill, obviously you’re not going to need a model that’s built for a marathon runner to train on. Also, a person’s weight goes a long way toward determining what treadmill they will need. A 130-pound woman won’t need as powerful a machine to run on as a 225-pound man. How often the treadmill will be used is another factor. A single person won’t use it as much as a family of four. Don’t “under buy” your treadmill. As mentioned above, if you plan to do a good amount of running on a treadmill make sure you get one that accommodates it. Some treadmills aren’t even designed to be used by someone who weighs over 200 pounds running on them on a regular basis. How much gym space do you have? Measure the room where you plan to set up the treadmill and make sure you get one that will fit that space. If you are extremely tight on space there are some excellent fold flat treadmills and fold up treadmills that can easily be rolled away for storage when not in use. Also make sure to consider the height of the people who will use the treadmill and the height of the ceiling in the room. Before you even start thinking about what kind of treadmill you want, decide what you’ll be using it for. Do you want to run a lot? Mainly walk? How many people will be using it? Are you a hard-core athlete, or an older person looking to rehab on it? Once you’ve answered those questions, you’ll have a lot better idea where to start your search. Have you tested enough treadmills? Bring a pair of running shoes to a specialty fitness equipment store and walk and-or run on treadmills that you’re considering purchasing. If you’re a runner, you’ll need extra room so check to see if the deck length accommodates your stride. Pick a model that appeals to you ergonomically and aesthetically and has good shock absorption. Also check out the electronics. Docks for iPods, USB ports, and wireless Internet connectivity are pluses. Remember, you can save money by hooking up your own device instead of paying thousands extra for a fancy built-in console. However, companies such as Landice offers a lifetime warranty. So there can be a huge difference.